Explore the World with this FREE Educational website! 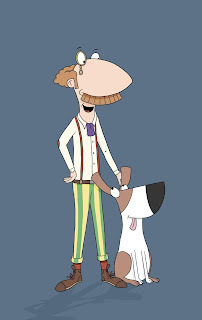 Hi Archibold Clutterbuck here on my Worldly Adventure with my trusty companion Beans! Isn’t the world such an amazing place. Beans and I have just been taking a look at our big World Map trying to decide which continent to visit next. Do you have any ideas? Perhaps we should take a look together and learn about each one. Europe, North America, South America and Oceania. A continent is a group of countries collected together under one name. Usually this is decided by how close the countries are to one another and how much of a shared culture they have. You can see all the 7 continents in the colourful map below. Let’s take a look at each of the 7 continents, starting with Africa. The Worldly Adventures of Archibold Clutterbuck & Friends! I am delighted to share with you this brand new website 'The Worldly Adventures of Archibold Clutterbuck & Friends' which launches today! The kiddies love exploring the great outdoors and discovering all the nature around them, whatever the weather. This Autumn we've been out and about identifying autumn leaves, collecting conkers and feeding the squirrels. Even if it's raining they like to get out and investigate! 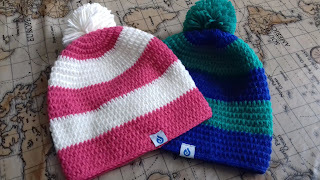 They wrap up nice and warm in colourful togs from Dry Kids before toddling out of the front door. We love spending time as a family and have a weekly 'Family night' where we grab a take out and spend time chatting and playing games. 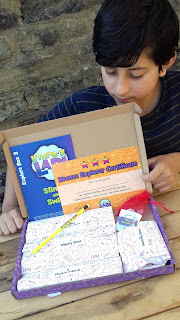 I try to find high-quality, educational games so that the kiddies are learning and having lots of fun! A few of you may know that DD15 started college in September and is studying Sciences including Chemistry which she thoroughly enjoys. 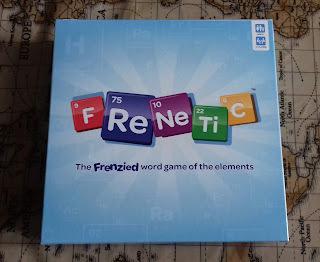 So this week we have been trying out FReNeTiC to help her gain a better understanding of the periodic table, as well as helping the boys with their mental maths skills and, mostly importantly, spend time relaxing as a family! 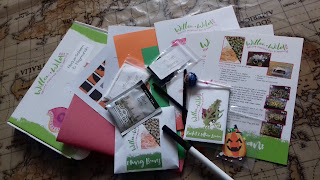 We received a lovely Autumn themed box this month from Willow & Wildbox! DD4 is always excited to see what the box contains and this month there's also a little gift again for the adults!! Making a pumpkin lantern A spooky spider lollipop Trying out some fun, new recipes Reading all about bats and spiders Sprouting a pack of Moong Beans Making Handmade Plantable Paper and completing the activities in the booklet! The first thing that caught her eye was of course the lollipop! So she chose that activity first. She quickly moved onto making a lantern and played the fun activity games, where she got the opportunity to get out her favourite little yellow scissors to cut pieces out for some Autumn fun. She used her motor skills to chop up a banana, adding raisins for the eyes and mouth as instructed in the activity booklet. It's October! Time to think creatively and take out the art supplies as we join in with The Big Draw! DD4 has been learning all about shapes and she's not only been drawing them, but she has been trying to make them using her body! 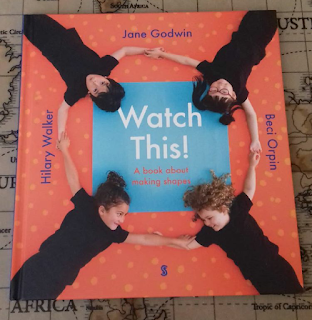 She has been inspired by this new book, Watch This! from Scribble Kids Books. Are you looking for weekly one-to-one online lessons for your child that are a fun, build confidence and experience for your child and that are aligned to the national curriculum? MATR offer flexibility and great value to fit with your busy life and the assurance of world-class tutors in a safe environment. They are the biggest maths tutoring community in the UK and every week they provide specialist one-to-one tutoring to thousands of children aged 7 to 11. 'A world class maths tutor is only a few clicks away! Tell us a little about your child, select your time slot and when you want to start, and our intelligent platform will match your child with the right primary maths tutor for their needs. Rolling monthly subscriptions will save you money! Our monthly subscriptions give you the freedom to choose lesson times that work for both your child and you, and provide you with high-quality, affordable maths tuition at your fingertips. 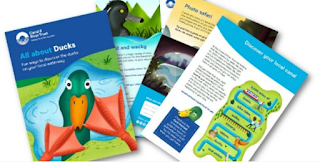 DS12 has been busy experimenting this week with his third Award Winning Letterbox Lab - which is a fun pack of exciting experiments that are delivered through the door each month, and this month it's all about Slime! Check out our last review here! As always, the box is crammed with everything you need, so no need to pop out to the shops! There was even a cute bottle of touchable bubbles which DS12 thought were lots of fun! All things slimy and gooey seem to be very popular at the moment, with kids and adults alike! So we have been trying out the Playtime Range at Zimpli Kids in order to take slimy sensory play to a whole new level! 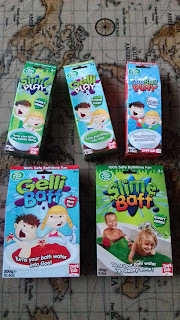 The Playtime Range consists of Gelli Play and Slime Play for use indoors or out, in large tubs or bowls. We have also tried out the Baff Time fun as well as SnoBall Play! Check out the Zimpli Kids You Tube channel here. I love my chocolate, but I'm also concsious about staying healthy and always try to instil healthy eating habits in the kiddies too! With it being the start of National Chocolate Week, I am trying to stick to our healthy eating plans, especially when it comes to snacking! As a busy mum of five who also blogs and has a part-time job, it's sometimes just too easy to give in and grab quick snacks here and there. As I am preparing to head out of the door for work, I also have to prepare breakfast for the kiddies as well as set up their activities for the day before I head out. 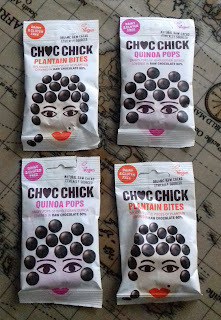 This week I have been trying out the latest organic raw chocolate goodies from Choc Chick which are launching today and which make the health benefits of cacao more accessible than ever before. They are ideal to keep stacked up in my locker at work, in the car and in my handbag! They are suitable for Vegans, as well as being dairy and gluten free!